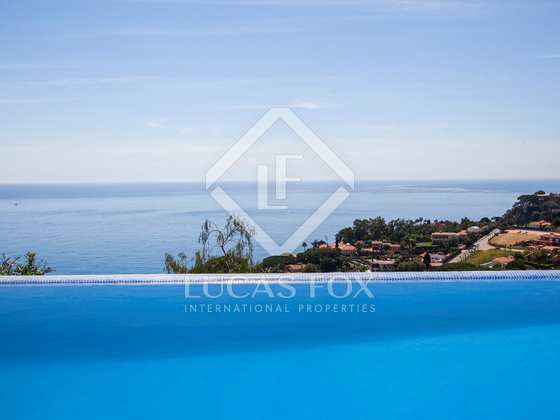 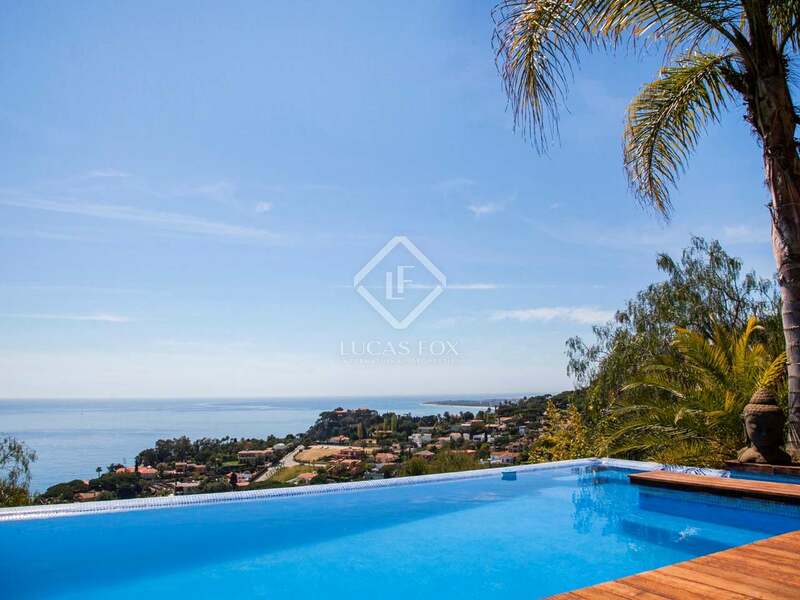 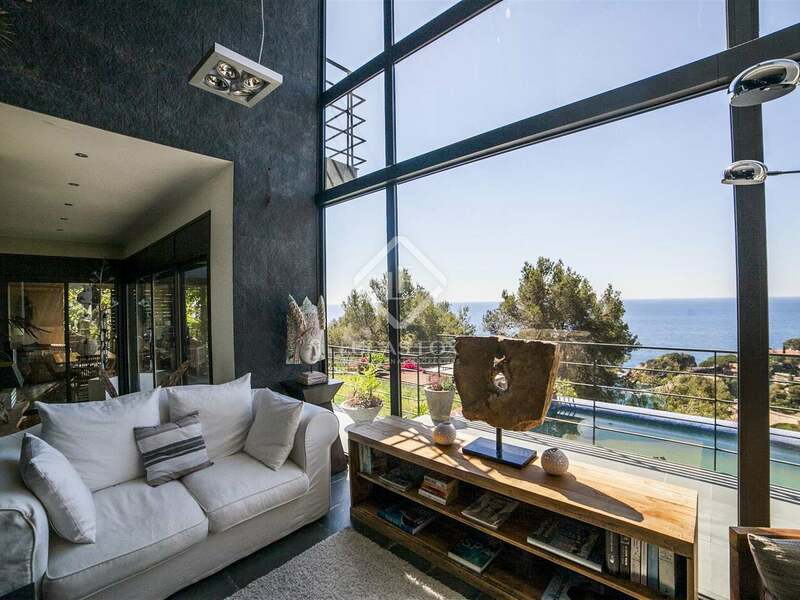 This luxury designer villa for sale is situated in Cala Sant Francesc, close to Blanes on the Costa Brava. 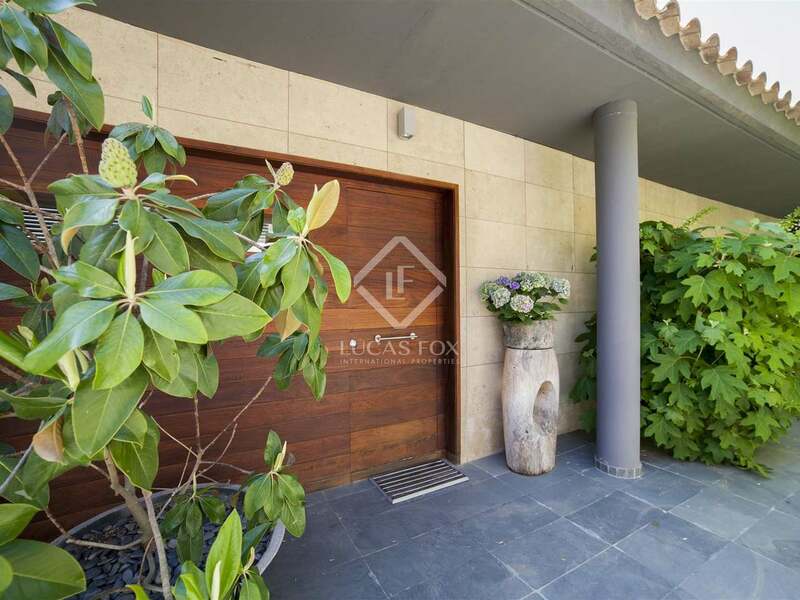 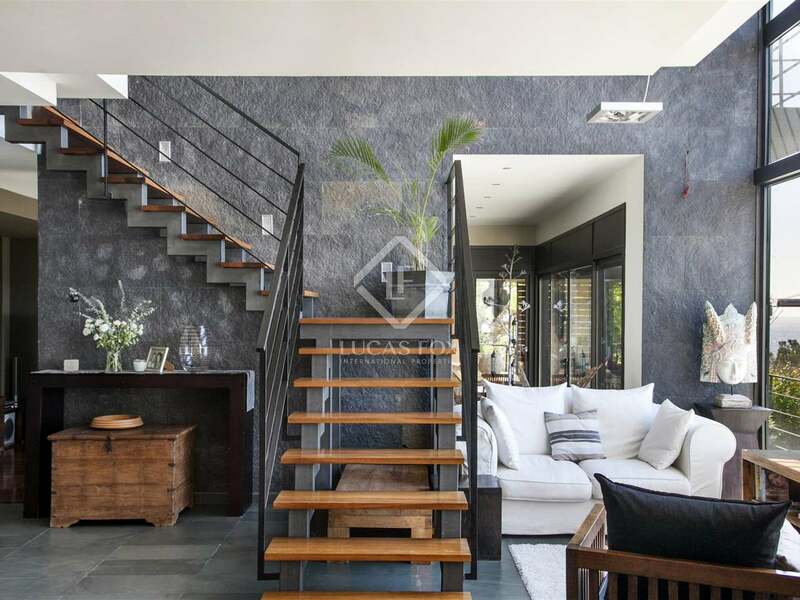 The property is located on a peaceful cul-de-sac in an upmarket residential area with 24-hour security, within walking distance of the beach. 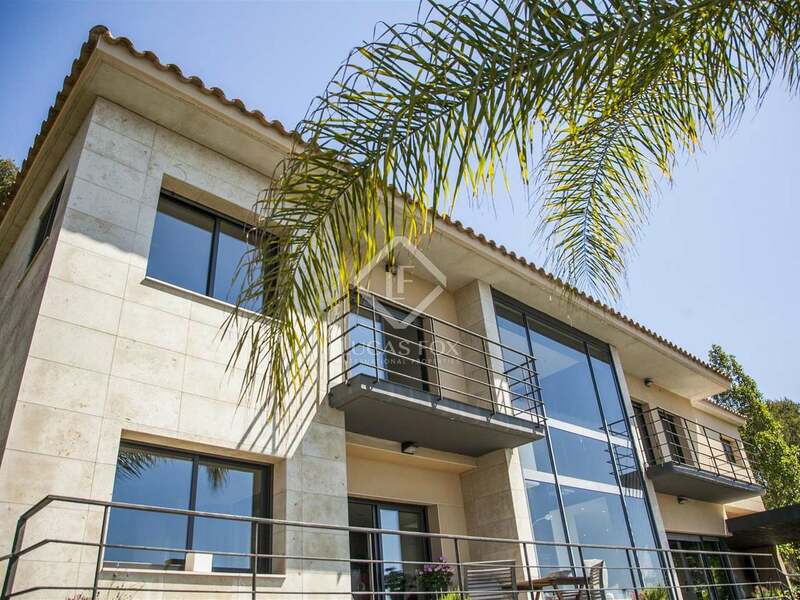 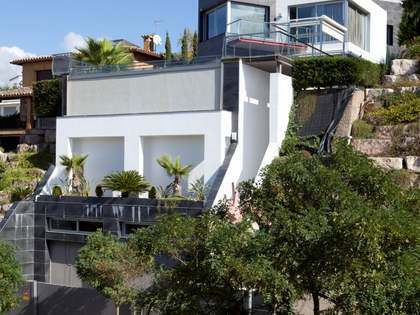 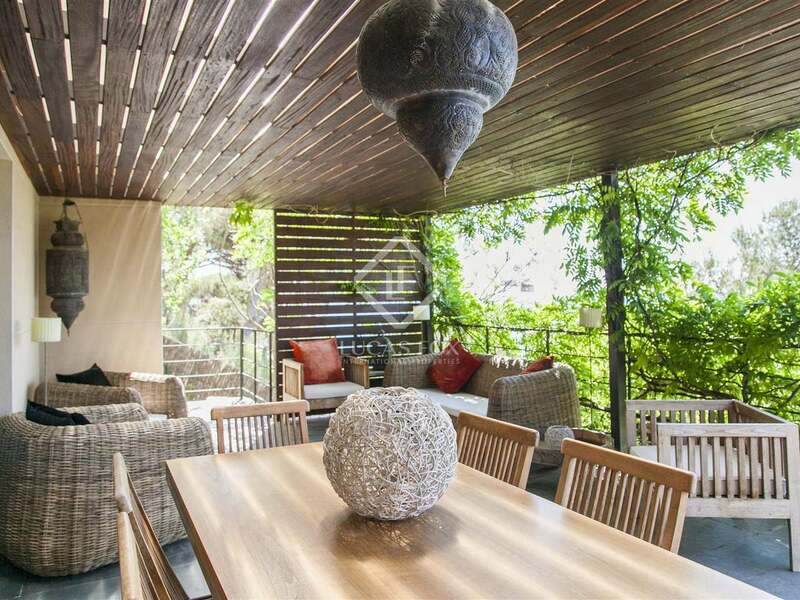 Built in 2003, the villa offers 360m² of constructed area and is set on a plot of 862m². 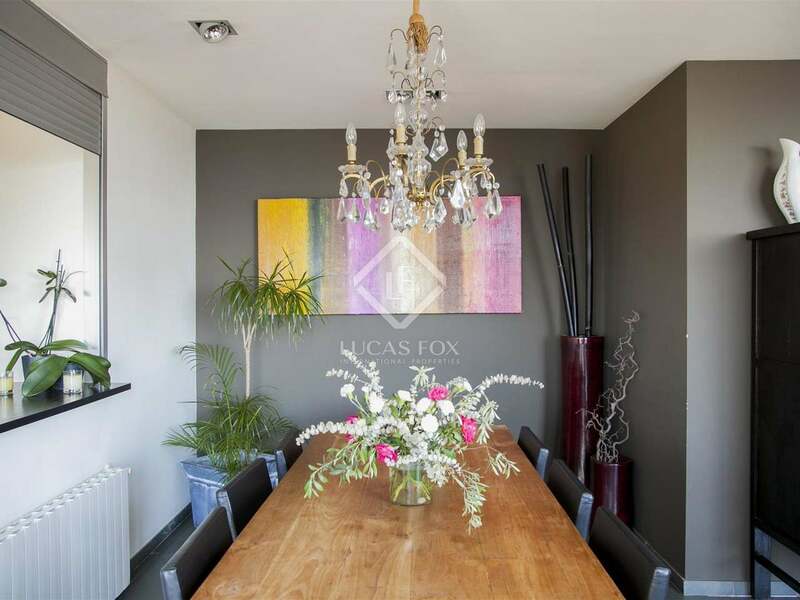 The house offers 4 bedrooms, 3 bathrooms, a fully equipped kitchen and a living room divided into 3 separate areas (dining area, chill out area and TV area). 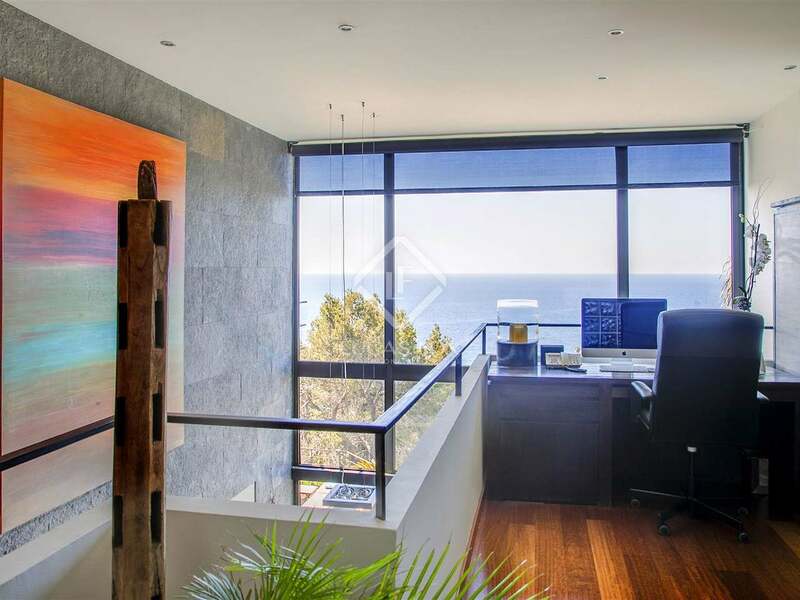 There is also an office with panoramic sea views, a garage for 2 cars and a multipurpose room that could be used as an additional bedroom if required. 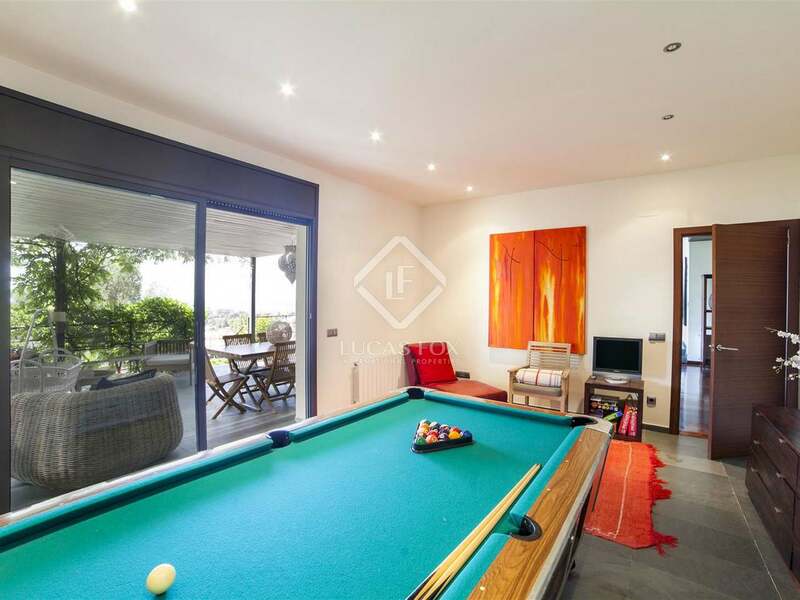 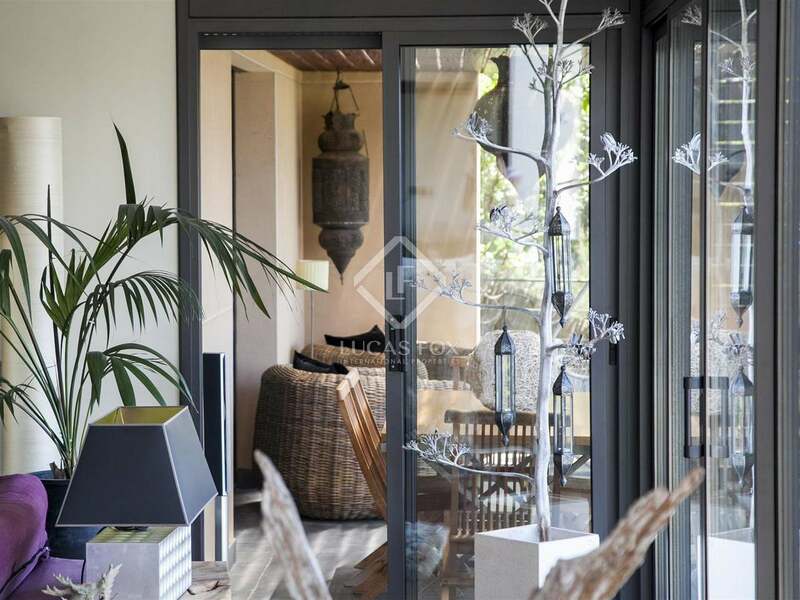 From the living/dining room there is access to a beautiful Mediterranean garden featuring an infinity pool and a barbecue area. 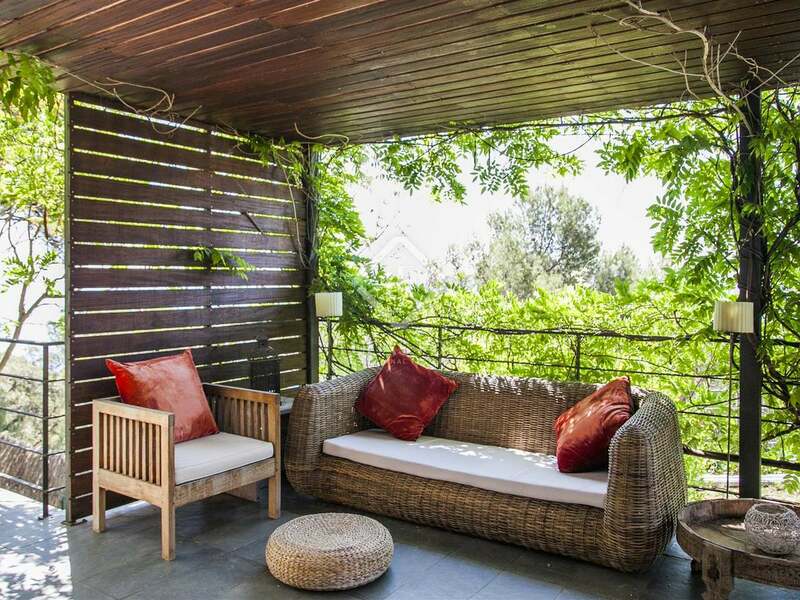 Part of the terrace is covered allowing you to enjoy the outside area throughout the year. 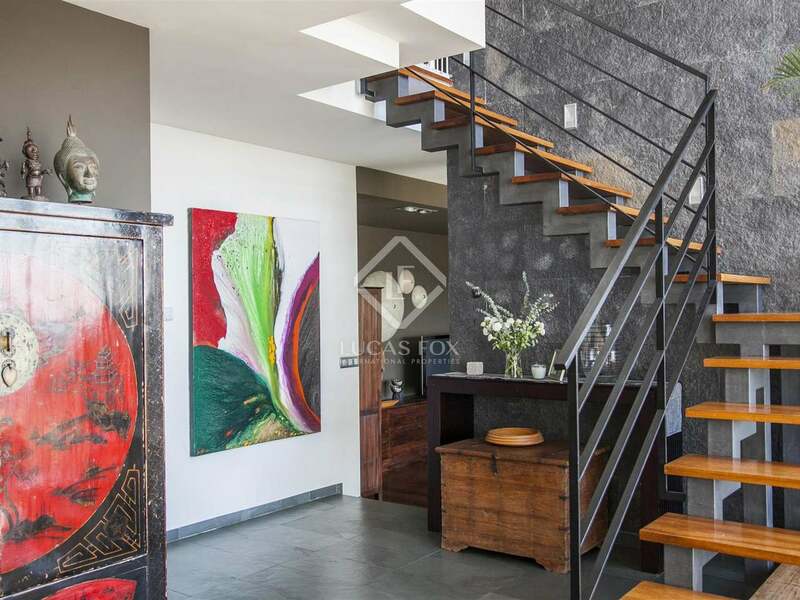 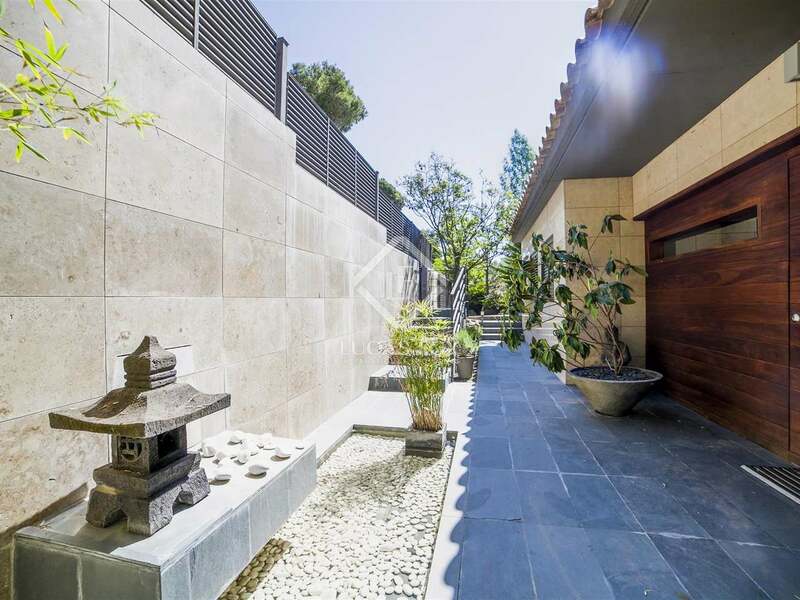 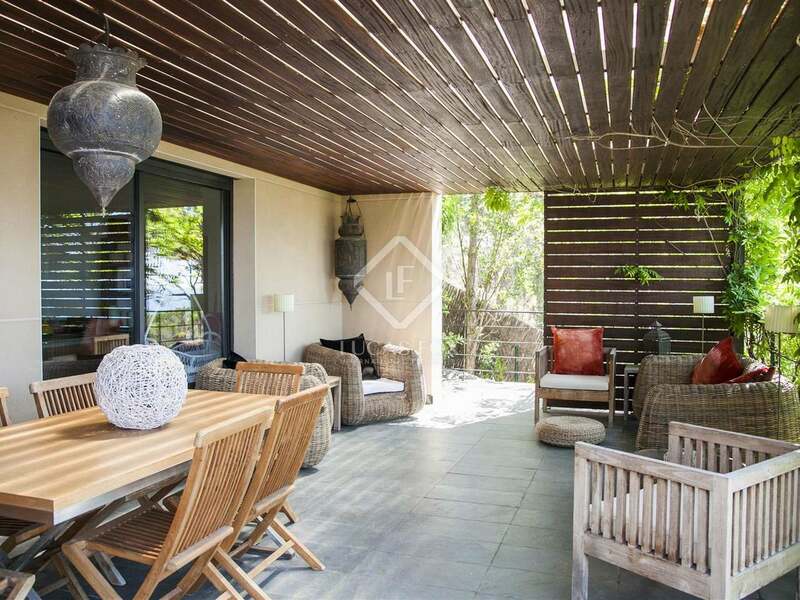 The property boasts a fantastic interior design, exterior stone walls and slate floors. 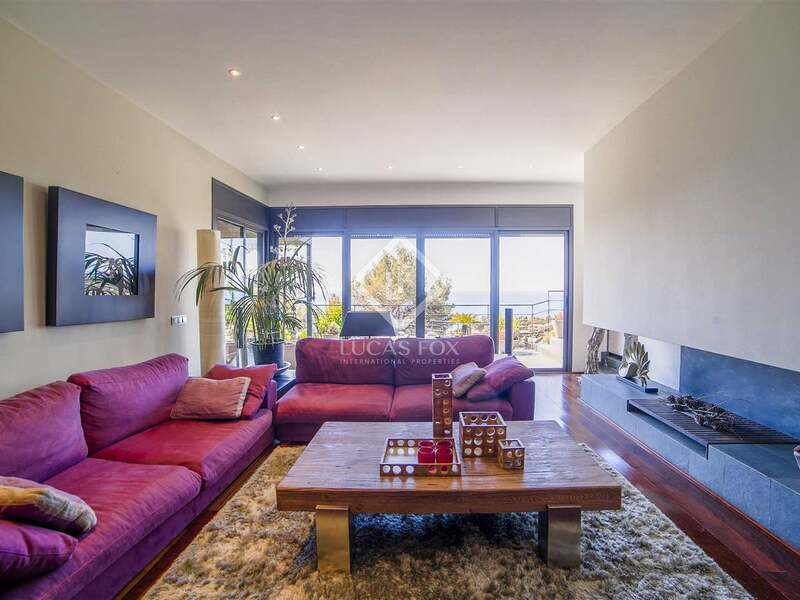 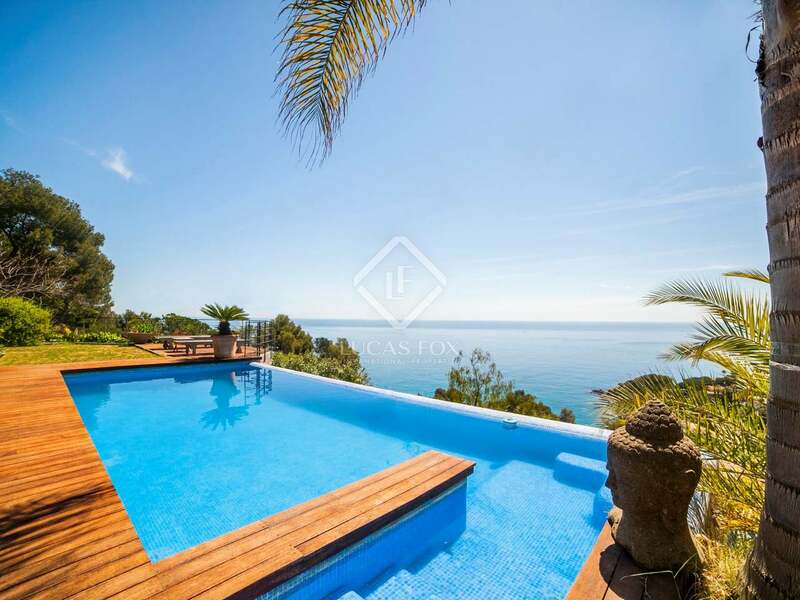 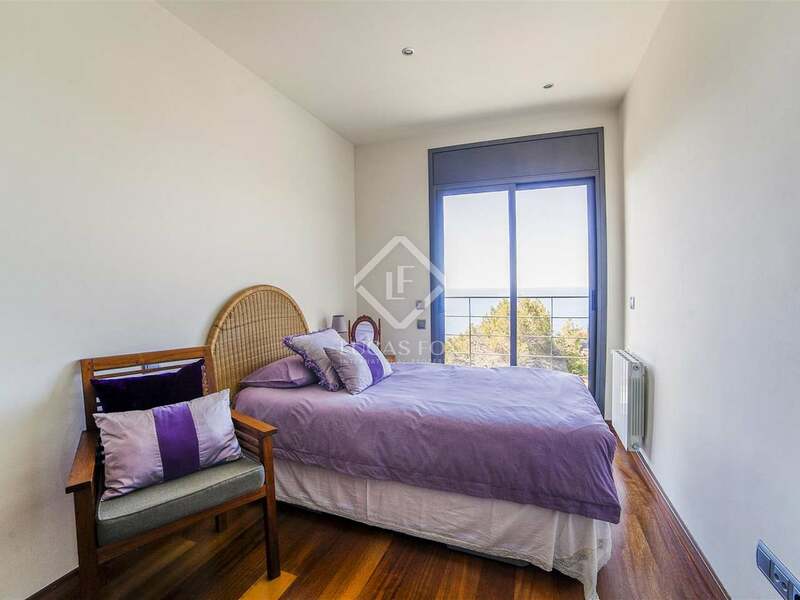 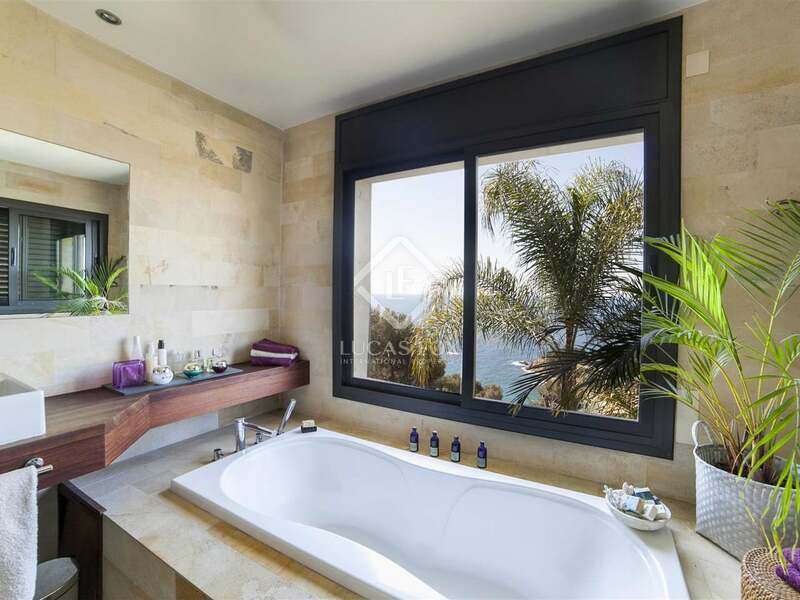 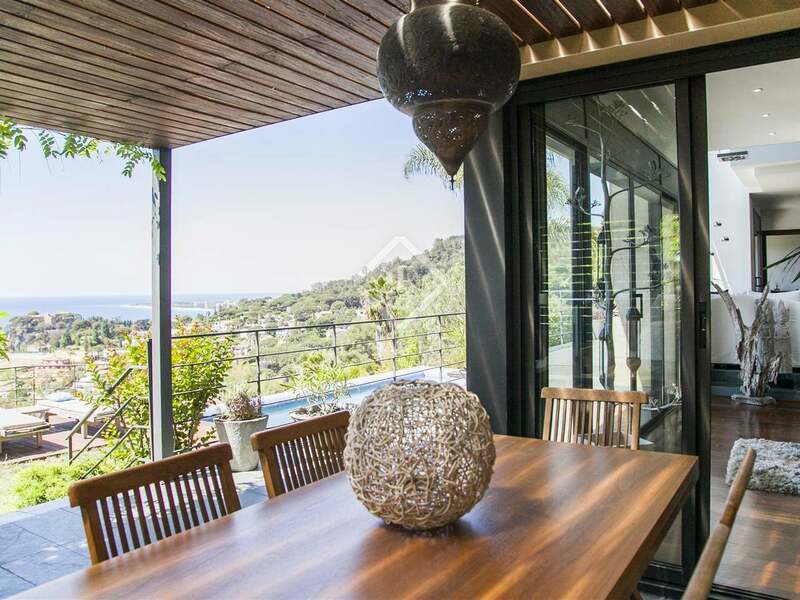 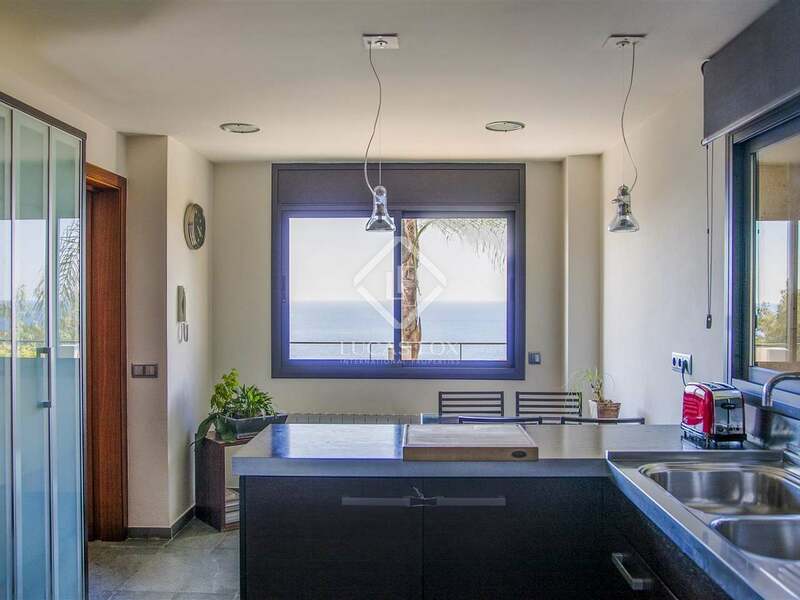 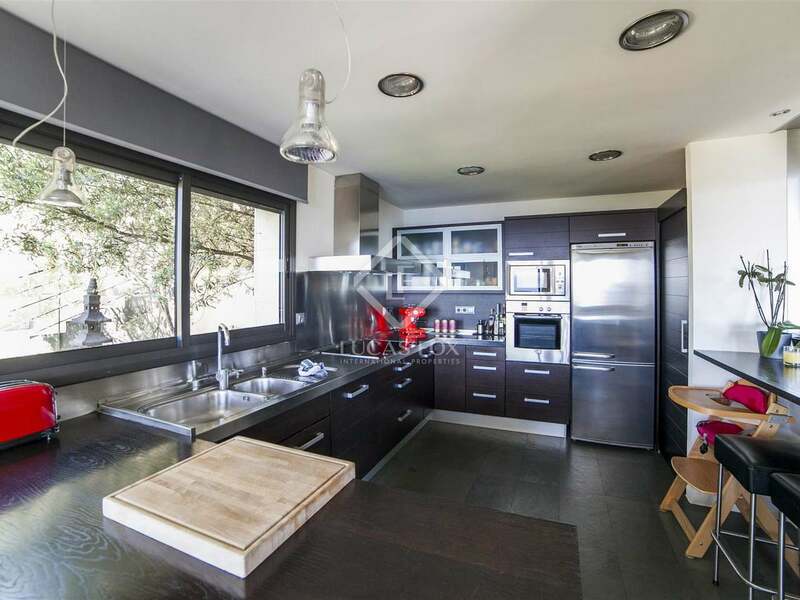 This Costa Brava property for sale is located in a residential area with fantastic views over Cala Sant Francesc in one of the most highly sought-after areas on the Costa Brava. 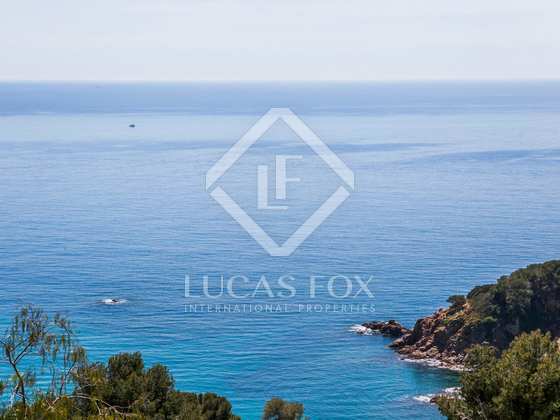 The urbanisation is very close to Blanes marina and to the 2 commercial centres of Blanes and Lloret de Mar. 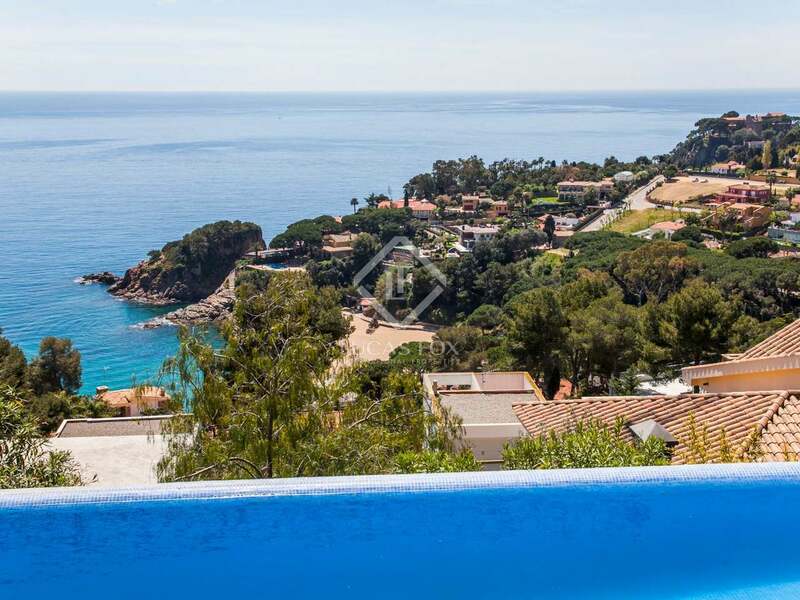 Popular with both international and national tourists and residents, Blanes boasts a picturesque port and many wonderful restaurants. 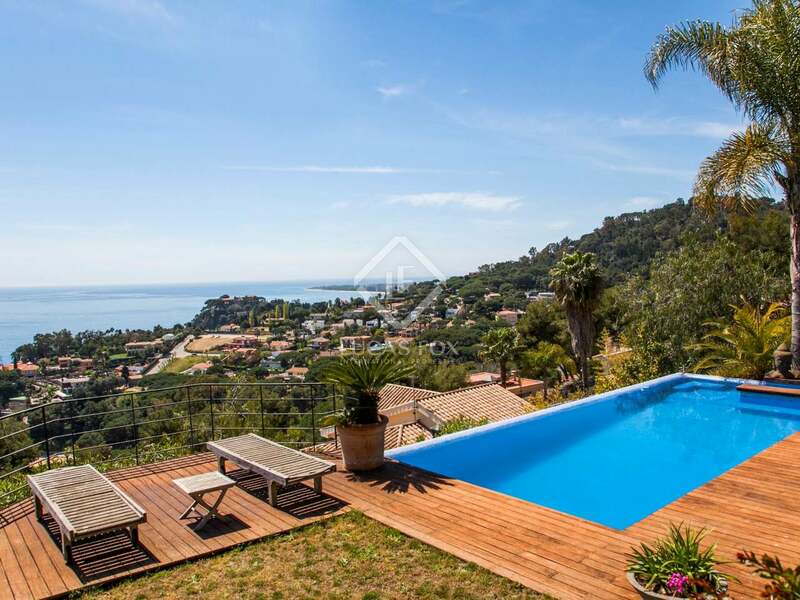 It is the first major town north of Barcelona on the Costa Brava and there are 2 airports within an easily accessible distance (Barcelona and Girona).